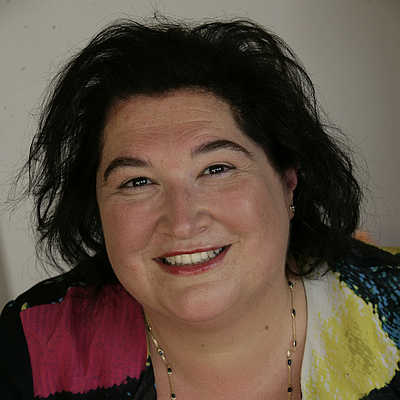 Rita Arrigo is a Chief Digital Advisor at Microsoft, she dreams, designs and delivers to transform the business, empower the employee, deliver new connected customer experiences and re-invent products. With experience in designing transformational digital solutions that embrace the modern workplace, cognitive, crypto-transactions and mixed-reality across multiple industries, she engages with globally distributed teams; mentor and motivate; and works on inclusive accessible design in an AI first approach. Her work at Microsoft is focused in Smart Buildings, Connected Manufacturing, Digital Health, Connected Vehicle and Experience Design, together with industry, government and education re-imagining people, place and technology in the digital world. Her passion for humanising innovation is evident in her view of the next boom that will be fuelled by the collision of the creative and technology improving of daily lives and digitally transforming our cities, lifestyle and play. This started in 1993 when she co-founded the radio show Byte Into It on 3RRR aiming to reducing techno fear and bring the benefits of technology to a larger audience. Since that she has launched User Groups, Mentored and Attended Hackathons, Design Thinking to engage business users and drive customer empathy with a range of techniques to enable new technologies to flourish. She is passionate about the Rise of AI, making our lives more human, with inclusive workplaces, rise of AI for customer service, the future of work with Mixed Reality and Machine Learning driving more personal experiences, that will make our lives more Human. As User Interface moves from SmartPhone to Ambient and Mixed Reality, Interactive Design becomes Cognitive Knowledge and Understanding, the new killer app will be intelligence. She is listed in the top 10 in Microsoft Global Social Selling Index and is currently at 4th place global in employee advocacy on Social Media. Peter Black is a qualified architect specializing in workplace. After 7 years as National Director at Colliers International he has recentlylaunched his own consultancy advising organisations about workplace strategy. He has lived and completed projects in the United States, Singapore, China, India, the UK, New Zealand and Italy. He has worked for leading design firms like Gensler and Hassell and was a partner in Mancini Duffy in New York. He is a frequent blogger, writer, podcaster and speaker about the future of workplace. Justin is an entrepreneur, active angel investor, Non Executive Director and mentor for leading Australian start ups focused on marketplaces and SaaS. Justin self funded and launched Australia’s first online holiday rental ecommerce marketplace in 1999 and sold the business to Stayz/Fairfax in 2011 for $29m. At Stayz, Justin held executive leadership positions and he led the acquisition and rapid growth of the SaaS business YesBookit. Justin played a key role in the sale of Stayz to HomeAway.com (NASDAQ: AWAY) and led the property manager business for HomeAway until Aug 2015. Justin took a 16 month sabbatical following his 16 year internet journey to travel, study, defrag and invest in start ups. Currently Justin is building his second internet venture, Snug, who’s mission is to create ‘a place everyone calls home’. Snug reimagines renting and brings owners, renters and managers together. 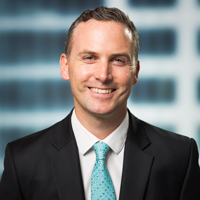 Justin holds a B.Com (Hons) from Monash University, Graduate Diploma in Applied Finance (SIA), is a Graduate Member of the Australian Institute of Company Directors, Member of the Sydney Angels and holds a real estate license. Justin has a passion for art and is a Trustee of the Art Gallery of NSW Foundation. Antony has founded various technology and media business over the last 15 years in Europe and Australia and loves building great teams. He was fortunate to co-found LOVEFiLM.com, the video on demand platform, which was sold to Amazon Inc. in 2008. Antony lives in Adelaide where Sine HQ is located and is excited about growing his next global business, Sine. Since joining Equiem in 2011 as employee #2, David has had a front-row seat to the dramatic changes undergoing real estate and Proptech. And via Equiem's pioneering products, has been at the front-lines of helping catalyse the ongoing evolution of tenant experience. As Equiem's Head of Product Strategy and later Head of Marketing, it is David's role to build a full understanding of Equiem's customers - owners, managers, occupiers - and the larger market forces that drive the industry. 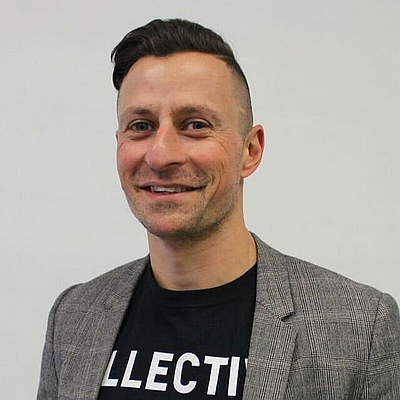 In 7 years, he has been a vital contributor in Equiem's rapid rise from a two-person Melbourne startup in 2012 to 220-strong, global category leader. Today he leads Equiem's global marketing and brand strategy, working with product, sales and customer success to further accelerate Equiem's trajectory. 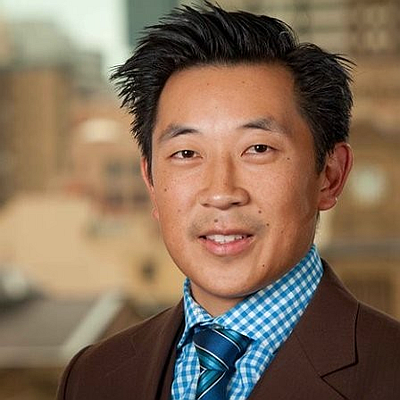 Shen is the National Development Director for Investa, one of Australia’s largest developers, owners and managers of commercial real estate. As a qualified structural engineer Shen has always been an early-adopter of technology and is an IT expert and enthusiast. As an authority on property development through to building operation, he offers a grounded perspective on the commercial realities and end-to-end complexities of incorporating property technology. Shen is one of Investa’s key thought leaders on the current and future use of technology, including 6D BIM and intelligent building design, across its entire $11bn portfolio of property assets. 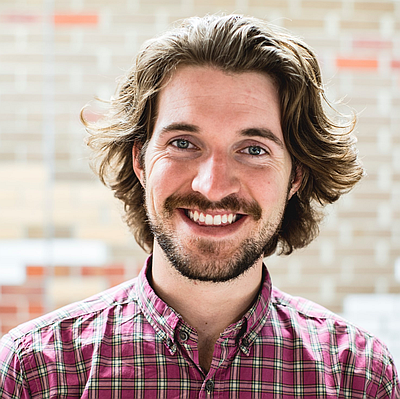 Trent Clews-de Castella is the Co-founder and CEO of Victorian based immersive technology (VR/AR/MR) startup PHORIA. After pioneering interactive 3D tours and VR experiences into the Australian property sector. Trent and his team continue to innovate and pioneer Virtual and Augmented Reality powered proptech solutions into the mainstream arena. With a background in Psychology and strong interest in emerging immersive technology, Trent is fascinated by how new tools can augment our human capabilities. In particular, how AR and VR enable greater communication and environmental awareness to help multiple stakeholders streamline design, construction and maintenance of new and existing developments. In 2017, Trent secured his position in Forbes 30 under 30 for his innovative work in the enterprise sector. Today in 2018, Trent and the team at PHORIA are helping visualise world leading development projects with private partners and empowering government bodies to leverages these new tools to better activate and connect smart. Aidan is a key member of the executive team at Charter Hall, providing leadership and direction for all strategic & operational technology activities. Charter Hall are a $20Bn+ commercial real estate business managing approx. 400 assets across Retail, Office, Industrial / Logistics and Hospitality sectors. Aidan is a technology thought leader with a track record for delivering technology-enabled change that has contributed directly to commercial outcomes in in the property industry. 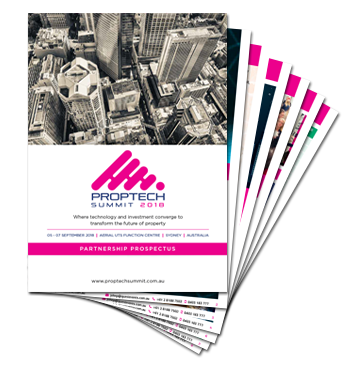 With over 20 years in IT, the last 6 in Property and Real Estate, Aidan has brought together the capabilities of enterprise IT and ‘prop-tech’ to lead the digital transform at both Charter Hall and previously at the Stockland Group. Aidan is on the advisory board for the ‘Realcomm’ global real estate innovation think-tank, is a stream-lead on the BCA sponsored ‘Innovation Nation’ initiative, and is a key contributor to number of Property Council of Australia initiatives such as the ‘Women in Property’ mentorship program and ‘CIO Cyber Security Roundtable’. Nigel Dobson is Banking Services Business Domain Lead at ANZ. The Banking Services Domain delivers common end-to-end platform-based services to drive our business outcomes towards delivering innovative, customer focussed solutions. Banking Services is responsible for developing and implementing the groups Payments platform strategy that will support the enterprise and our partners. The domain portfolio will also include additional enterprise services such as Fraud monitoring, Transaction Screening, Digital Identity, Credit and Risk Monitoring and Decisioning. Nigel leads the banks Blockchain strategy and associated activities, including fostering partnerships and industry pilots. Nigel is currently a Director of the New Payments Platform (NPPA) in Australia and a Director of the Australian Payments Council (APC). 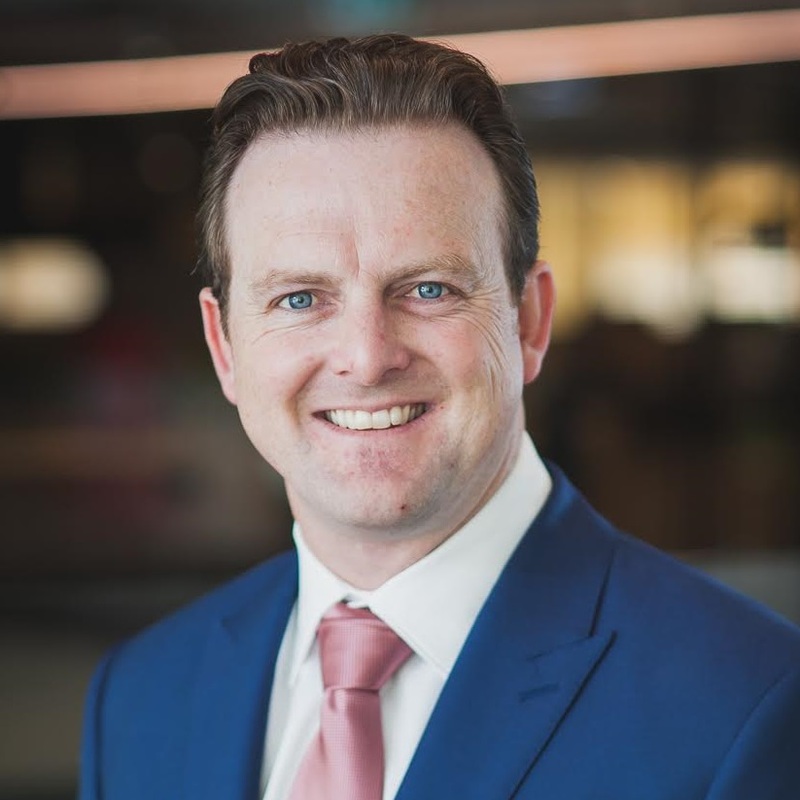 Prior to this role, Nigel spent 4 years in senior Transaction Banking roles at ANZ, including Global Head of Payments and Cash Management and Global Head of Transaction Banking Products. 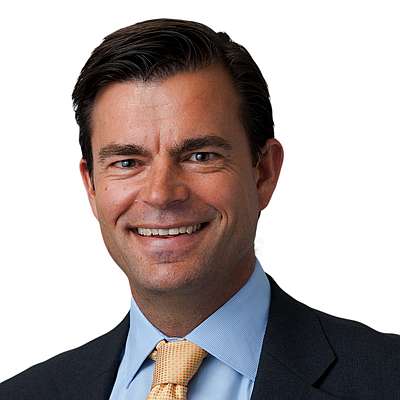 Nigel joined ANZ in July 2009 from Citi in Hong Kong where he was Regional Head of Trade and Transaction Services. Nigel had spent a total of 19 years at Citi in various senior Markets and Transaction Services roles in Australia, New Zealand, Singapore and Hong Kong. Nigel has a Bachelor of Economics from Victoria University, New Zealand. 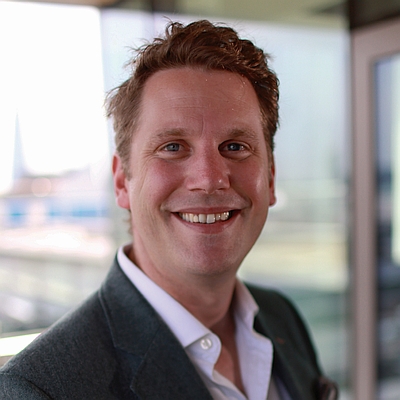 Alex Fuerschke is Senior Manager for Building Technology at Dexus where he is responsible for developing a smart building strategy and framework to execute across a portfolio of over 140 office, industrial, and retail assets. Dexus manages $26.5 billion of real estate in Australia with a further $4.2 billion development pipeline (as at 31 December 2017). Prior to his current role Alex led the applications and software development team at Dexus, and held roles at Deutsche Bank and UNSW for a total of 20+ years’ experience in Information Technology. Combined with an education in architecture and 15 years within the property industry have allowed him to blend his passions for technology and the built environment. 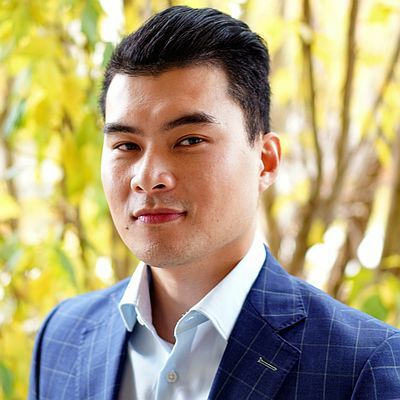 He is the Co-Founder and CEO of Collective Campus, an innovation hub, school and consultancy based in Melbourne and Singapore, that works with large organisations to help them adopt mindsets, methods and tools to successfully explore new business models in an era of rapid change. Steve’s team has helped large financial services, telco and legal services companies with their innovation goals. His client list includes the likes of Telstra, National Australia Bank, Clifford Chance, King & Wood Mallesons, BNP Paribas, Microsoft, Village Digital, Charter Hall, Singapore Pools, Ascendas Singbridge, Maddocks, Mills Oakley, Australian Unity, MetLife Insurance and Sportsbet. Collective Campus has also been home to and incubated over 100 startups which have collectively raised more than US$25M. Steve founded Lemonade Stand, a children's entrepreneurship program for 9-12 year olds that teaches them the fundamentals of design thinking, the lean startup philosophy, coding, 3D modelling and AR. The program has been rolled out across Australia and Singapore to over 1,000 children. Having recognized the convergence of real estate and technology the Taronga Group launched Asia’s first Real Estate focused VC fund in 2016 – Real Tech Ventures. The focus of the Fund is to invest into early stage companies that are looking to enhance or disrupt the built environment - this is more than just Proptech and includes mobility, energy, infrastructure and sustainability. Jonathan has extensive experience in the real estate sector, having held senior positions with listed entities, sovereign wealth funds and insurance groups in major global markets, including Australia, Sweden, Abu Dhabi, Singapore and China. Prior to founding the Taronga Group, Jonathan was the Group Executive, Capital at Mirvac for three years. In this role, Jonathan was a member of the ELT, the IC and the Diversity and Inclusion Council and the ASIC approved RM for Mirvac Funds (circa $1B). Key role was to manage existing Funds and bring in new capital partners (TIAA-CREF and Ping An). Prior to joining Mirvac, Jonathan was the Head of Real Estate – Asia for the Abu Dhabi Investment Authority (ADIA) where he led more than 50 major transactions, investing US$6B across all sectors in Asia. Jonathan also ran the IP Fund, for ING Real Estate Singapore investing across SEA and spent seven years working in China where he established the Beijing office of Savills and learnt Mandarin. Julian is the founder of startup community network startBUILD, helping to develop the PropTech ecosystem in Sydney and across Australia. In his day job, Julian is an innovation advisor to large corporates, including leading construction and asset management firms, and a startup program designer, facilitator and coach, currently delivering the Founders 10X Accelerator at UNSW. 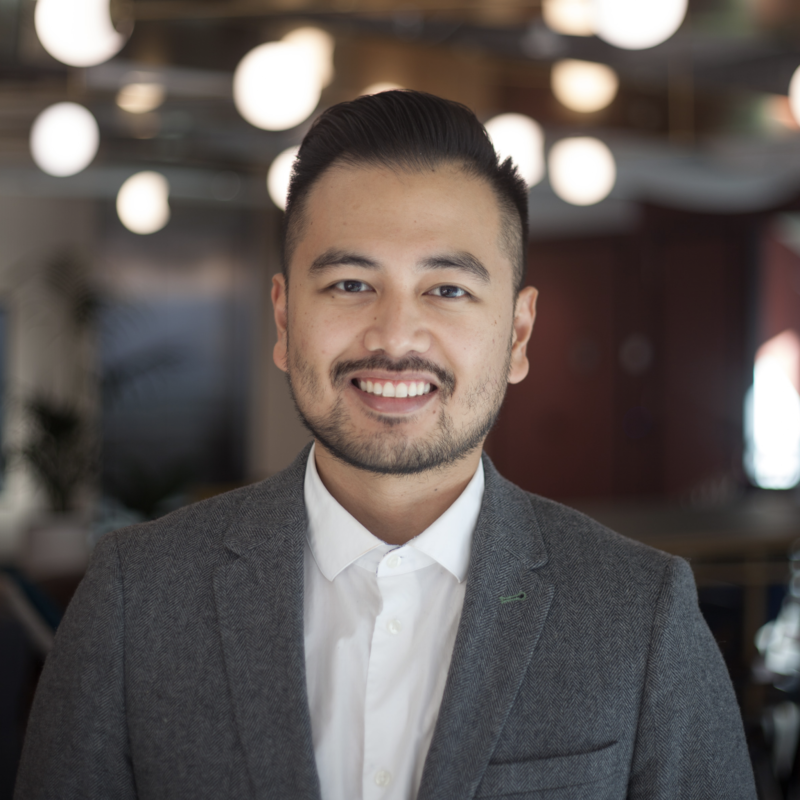 Julian is passionate about nurturing our growing PropTech community and wants to create programs, spaces and networks that help startup founders to thrive. Suzette commenced her career in property as a graduate in the early ‘90s, and has spent more than two decades experiencing the depth and breadth of property development, asset management and marketing roles both within the property sector as well as developing businesses in mobile communication and business consulting. In her current executive role, she helps to lead over 600 employees in Property and Facilities Management across the Australia and New Zealand within CBRE. Her work in the property sectors allowed her to help conceptualise some of Australia’s most progressive places of their time including: Fox Studio’s Australia, Cockle Bay Wharf, Penrith Plaza, Jackson’s Landing and more recently creating the. In her words, she “has the privilege of helping landlords create valuable assets through well thought out positioning and place making”. Throughout her career Suzette has seen the customer as the starting point and centre of everything – she listens, understands, and responds to her customers' needs using research and more so using her customers skills to co-create better solutions. She is strongly involved in property industry groups including: numerous women’s mentoring programs, CBRE’s diversity and inclusion committee, the Property Council of Australia’s first National Round-table on “Cities”, as well as a lecturer at both the PCA retail academy and Ethics teacher with Primary Ethics NSW. In her current role - she is responsible for both business and product development; a role that allows her to think about how great outcomes in property are not merely informed by the bricks and mortar – but more so by the people of whom experience it. 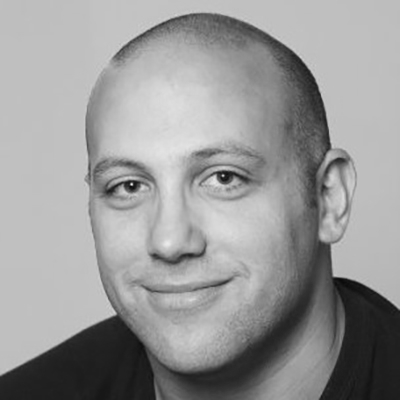 Norm is the Chief Operating Officer at VentureCrowd, a fintech business offering crowd funding platform services. VentureCrowd's mission is to offer a digital gateway to alternative investments. Prior to joining VentureCrowd, Norm worked in the asset and investment management industry for over 17 years for Australian and international managers. His experience spans traditional and alternative asset classes, including private markets, real estate, infrastructure, liquid alternatives, rates and credit, equities and exchange traded funds. Nathan is the Head of Building Technology at Investa and is responsible for shaping the direction of Investa’s Buildings Technology Strategy with the aim of optimising operation, occupant experience and data management across a national portfolio worth over $11b. Nathan began his career in the commercial construction industry before transitioning into Facilities Management in 2006. Since joining Investa in 2007, Nathan has worked across a number of quality commercial office assets as well as being involved in many other facets of the commercial office supply chain. 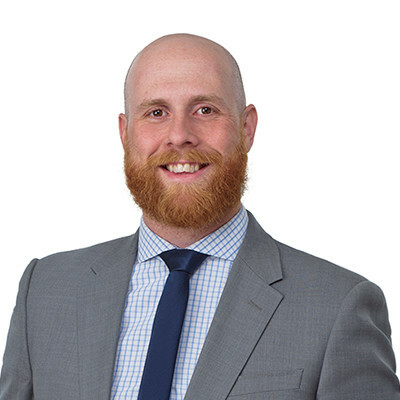 Working across a number of both commercial developments and existing assets within Investa, Nathan has developed an expertise in BIM and other emerging technology and is keen to see this embraced by building owners and operators for the management of both new and existing building stock. In his early 20s, Perth local Rafael Niesten, won a scholarship to study in Canada, with that came the opportunity to volunteer at a local radio station. The spawned his entrepreneurial streak, returning to Perth in 2001 he set up community radio Groove FM. More by luck than design, they became successful, too successful as they took a significant chunk of the Perth Market. This sent up the red flag with his commercial competitors who saw to it that he came before the Australian Broadcasting Authority and on technicalities such as the number of volunteers he was forced to move on. He received the citizen of the year award for Western Australia (youth) and was a finalist in the Australian of the year awards (Youth). Falling on his sword he turned to running small and large scale events, all the while buying, renovating and selling properties. Buying and selling land and renovated houses provided a grounding in the property industry. In 2006 he moved to Sydney lured by the offer of free rent for 10 months in a friend’s apartment. He founded a cloud based medical grade voice recognition company, followed by co founding the first true cloud application for private practice in the health sector. He successfully exited these ventures at the end of 2016 and began building Bricks+Agent which makes property maintenance easy for both residential and commercial. Before August 2014 when she began work on the Next Address concept, she owned and operated a 55-bed guesthouse, successfully managed large festivals and operated a small boutique communication and event management business and sold real estate both personally and professionally. What Julie learnt from all these experiences is people buy homes, real estate agents don’t sell them! If you connect people to the home, they need and want then the house will sell itself. Julie believes passionately we need to refocus our real estate sales model to a service delivery model and that the millennials are and will continue to demand this shift. A service delivery model will reduce consumer costs and create greater efficiencies in the sectors. A tightening market will also demand change from the industry. Julie is not afraid of change, is a listener, with a creative mind and has a high degree of emotional intelligence. Communicating effectively and giving back to her community has been a passion as has her intense desire to see a better world for all of us. Enter Next Address: an affordable marketplace platform to simply, affordably and efficiently, with a service delivery focus, enable the buying and selling of homes in Australia. 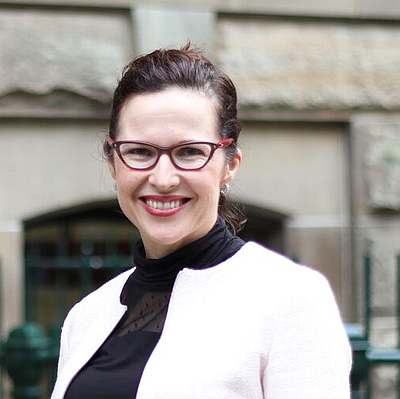 Johanna Pitman directs Australia’s only smart cities accelerator program, CityConnect. In its first cohort, CityConnect boasts 7 inspiring smart cities startups with solutions across infrastructure, urban amenity and citizen engagement in our cities. CityConnect is powered by BlueChilli, Australia's leading startup incubator/accelerator with over 100 portfolio companies, its own venture fund, a team of in-house experts, and a full tech team to help entrepreneurs build their technology product and business. Prior to BlueChilli, Johanna was the Deputy CEO for the Committee for Sydney, an independent think-tank advocating for global best practice in city-making. Johanna brings a deep understanding of urban issues and economic development, through senior roles in Federal and State agencies, and the UK Government's overseas trade network. Johanna holds a Masters in Regional Studies from Harvard University, and is passionate about creating smart cities that are prosperous, inclusive and liveable for all. 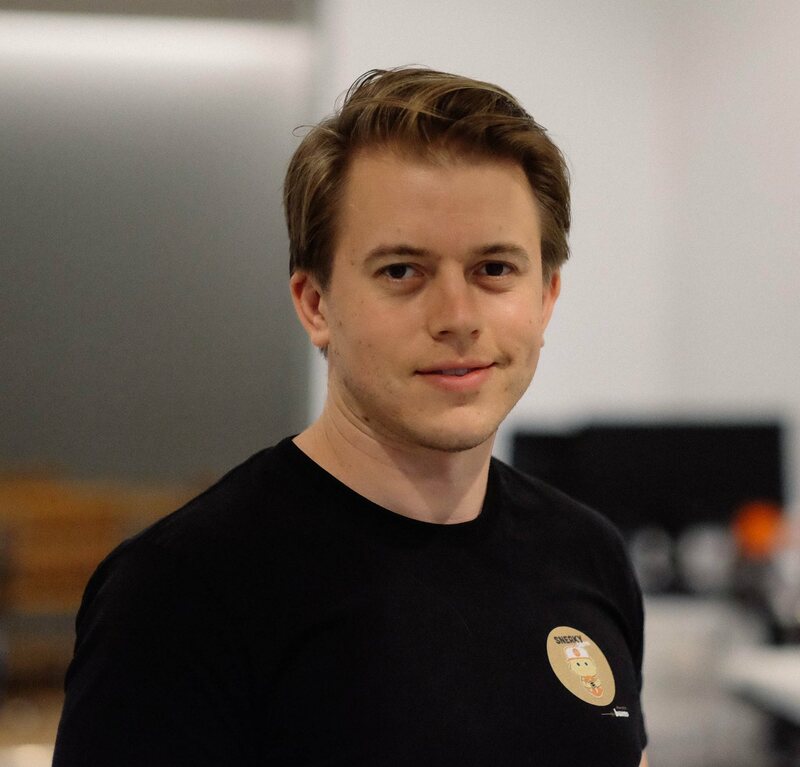 Matt is the founder of Space Connect, an IoT based workplace utilisation & collaboration platform specialising in artificial intelligence and algorithmic machine learning. Matt has over 12 years experience in the public and private sector with both business strategy & enterprise software development. Space Connect’s vision is to enable natural office collaboration through intelligence space management. John joined Hub Australia as Chief Property Officer in 2018. In this role, John leads a team responsible for sourcing and securing new sites, the refurbishment and fitout of the spaces to create amazing environments for Hub members, managing our technology infrastructure and ongoing portfolio management. John has over 20 years of experience in commercial property and project management. He has held a range of senior positions in global property agencies including Knight Frank and DTZ in Australia, and CBRE in Europe. He also has a multi-disciplinary skill set, having worked across project management, occupier solutions and office leasing, as well as running Knight Frank’s full service North Shore business in Sydney. He is a Fellow of the RICS, and a licensed real estate agent. 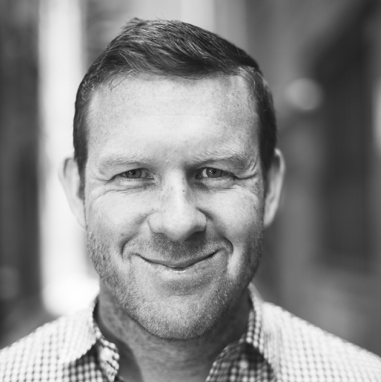 Jack Quigley is the Founder and Managing Director of CrowdfundUP, Australia’s leading real estate crowdfunding platform, and Founding Director of FinTech Australia, Australia’s industry FinTech body. Jack is also a member of ASIC's Digital Finance Advisory Committee. 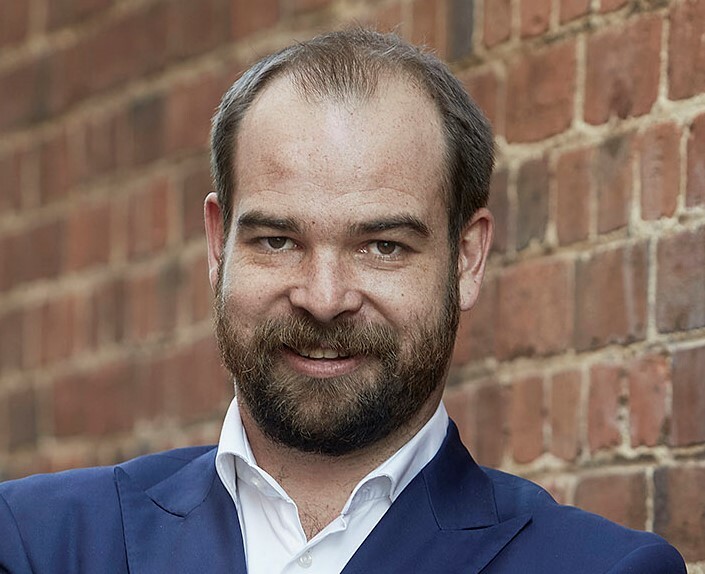 Jack has played an influential role in shaping the Australian crowdfunding and alternative finance industry over the past few years and is at the forefront of discussions with the Australian Government championing the benefits of innovation on the Australian economy. 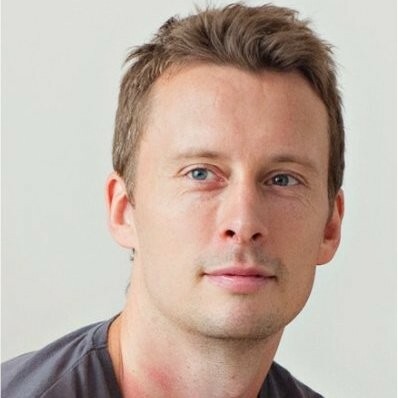 With extensive experience in both Australia and China, Jack has become a leader in the FinTech space globally, regularly speaking at events and conferences around the world on alternative finance. With a strong background as an experienced Commercial Lawyer, Jack has structured international real estate and equity transactions and is responsible for the implementation of startup strategies in the corporate space. 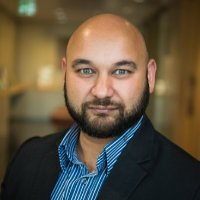 Founder of Australian early-stage technology venture capital firm, Adventure Capital, whose amazing team has the privilege to work with Australia's talented entrepreneurs by providing both equity, debt, and real-world experience to accelerate growth, and enable them realise their potential globally. 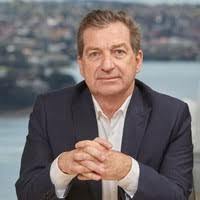 Stuart is also a Founder of YBF Ventures (formerly York Butter Factory), globally leading property technology and services business, EQUiEM, and Hoist which creates and curates high-impact innovation precincts. 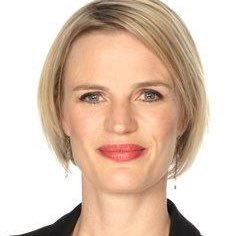 Graduate of the distinguished Stanford Executive Program (SEP'09), Australian Defence Force Academy (ADFA'99), and holds Bachelor of Aerospace Engineering (UNSW), Master of Management/Engineering Science (UNSW), and completed Executive MBA studies with MGSM. 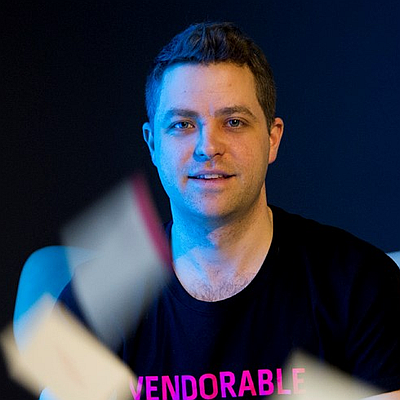 Stuart became a Fellow of the University of Melbourne in 2015, was recognised #20 in the Business Insider Tech100 in 2016, and is privileged to inspire the next generation as one of the Van Heusen’s Mentors. 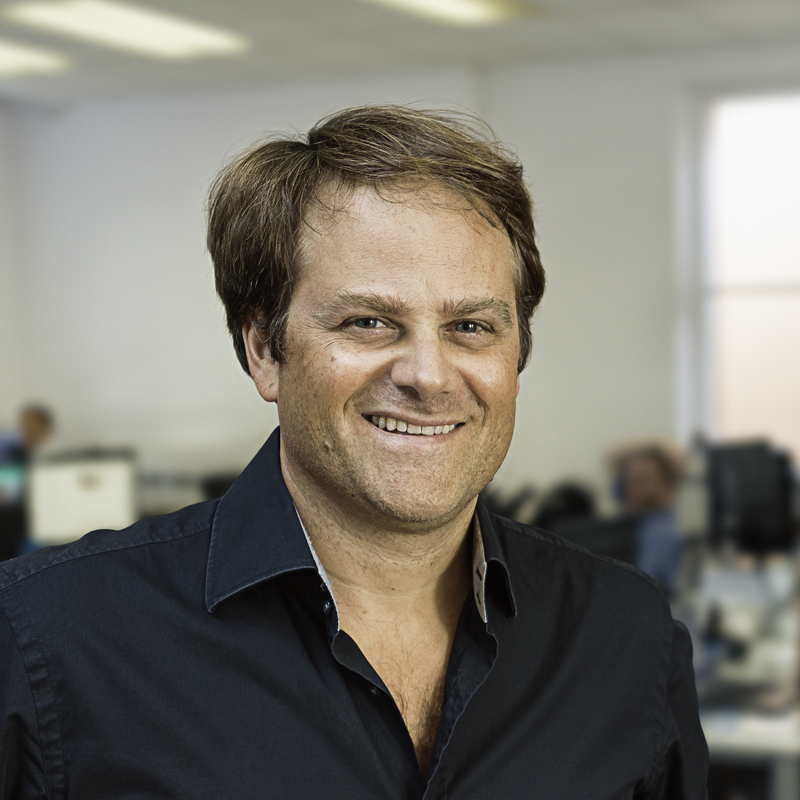 Sebastian Robertson is a recognised entrepreneur and executive, with a strong social focus. Sebastian is the co-founder and CEO of BIRDI, a technology platform that enables businesses to integrate drones into their operations by providing an 'end to end' drone management platform. 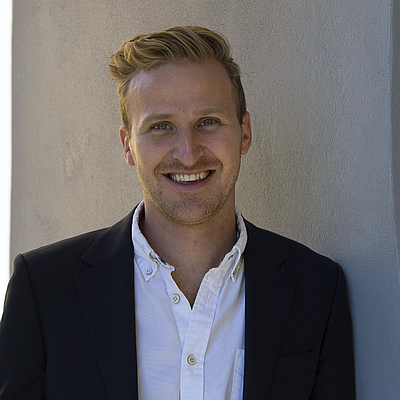 Prior to BIRDI, Sebastian founded the social enterprise batyr and was its founding CEO for 5 years, establishing batyr as a national leader in innovative programs focusing on the engagement and education of young people in mental health. Sebastian remains actively involved in the organisation as it’s Chairman. The transition from finance (formerly worked at General Electric), to mental health and now implementing drone technology might not sound like the normal career path, but Sebastian has always remained focused on ensuring his time, energy and skills are utilised in addressing major society challenges. He complements his experience in social innovation and enterprise with a double degree in Economics and Commerce from the Australian National University. 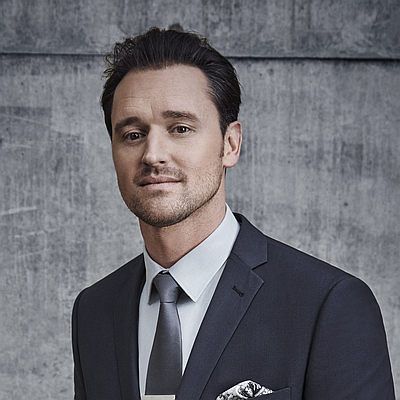 In 2011 Sebastian was named Sydney Social Entrepreneur of the Year and in 2013 was recognised by his alma mater as Young Alumnus of the Year. Ian is the Co-founder and Sales Director of Skyfii, an international software company pioneering analytics and engagement tools for commercial property. Prior to establishing Skyfii, Ian was a media industry professional with over 15 years’ experience. Ian works directly with Innovation, Marketing and Data teams at major property groups to unlock the value in the Skyfii IO platform and drive business growth. Chris Rolls has built and sold 4 business, 3 of which have become amongst the largest of their kind in Australia. As founder and CEO of Rental Express, Chris build one of Australia’s largest property management businesses with over 5000 properties under management which he sold in 2015. As Managing Director of Australia’s first Real Estate Industry Venture Capital Fund, Chris has spent the last 2 years on a journey to discover what the future holds for the Australian Real Estate Industry. That journey has taken him to multiple countries, including study at Harvard Business School, University of California Berkeley and the world’s leading educational institution on exponential technology, Singularity University. He’s conducted countless interviews with leaders in the real estate industry, CEO’s of technology disrupters, and also spoken personally with the institutions that are pouring billions of dollars into ideas whose sole purpose is to take a slice of the trillions of dollars that keep the worldwide real estate industry alive. He has deep technical skills in networks/infrastructure, end user platforms/computing, cloud technologies, solution architecture, IT management, program management and thought leadership. As the Head of Digital and Customer Platforms at Charter Hall, Oliver works closely with key business leaders to deliver digital transformation and innovation initiatives. Selina is a Partner at EY and the Oceania Real Estate & Construction Industry Leader and Global Real Estate & Construction Innovation Leader. Selina is passionate about creating future communities and cities that will be liveable, sustainable, human hubs of economic prosperity for diverse societies. She has played a lead role on research assessing the impact of megatrends on the sector working jointly with the Property Council of Australia and Green Buildings Council of Australia. She believes in taking a human centred approach and asking better questions to uncover the upside of disruption. 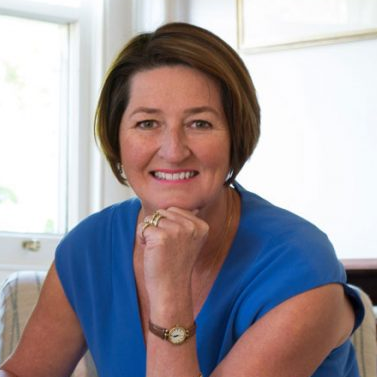 She is also an advocate for the better commercial outcomes that are delivered through diversity of thought and is a member of the Property Council of Australia's Diversity Committee and a strategic adviser to the Property Male Champions of Change. Carolyn Trickett is passionate about using technology as a strategic enabler for business innovation and growth. Her experience as an IT professional spans 25 years across a broad range of industries and technology; including nine years in property, eight years in telecommunications, and seven years in SAP software integration. As the Head of Business Technology for JLL Property & Asset Management, Carolyn drives IT strategy, delivery and support across the Asia Pacific region. Over the last nine years, she has delivered a systems transformation program that has re-engineered the day to day functions for staff and provides clients with a continually improving reporting and service delivery suite. Her latest success at JLL was the design and delivery of JLL Acumen - an enterprise data warehouse and reporting system which provides staff and clients with access to portfolio and property performance data through dashboards, reports and data analysis tools. Timothy has over 15 years of experience in property primarily in the construction sector, including retail, mixed use, residential, infrastructure and defense. Timothy has worked in Australia and Timor-Leste. Prior to joining Mirvac in 2015, Timothy was the Capital Works Manager – Special Projects at Scentre Group. Timothy’s responsibilities included the delivery of national projects including Wi-Fi, the capital works program, smart building technologies and various centre ambience upgrades. Timothy has previously worked for Watpac, St Hilliers, Property & Construction Leighton Contractors and the Australian Army. Currently the National Manager – Mirvac Retail Solutions, Timothy is ensuring the successful implementation of Mirvac’s Urban Retail Strategy. With a shifted focus towards the Connected Urban Customer, Timothy provides strategic advice to Mirvac business units and develops key partnerships to help facilitate a seamless customer experience whilst creating an analytics platform to capture customer data – segmenting each assets customers base and foot traffic movements. Strategies currently in place include urban transport solutions and last mile delivery, in-centre customer behaviour analysis, synchronising offline and online retail engagement, implementing article intelligence and machine learning to forecast customer needs. As a Director and Business Development Manager, Jason helped build Vicon Services from 2008 to 2013 to over A$30m+ in revenue and more than 100+ staff across Australia. He has worked with enterprise clients in mining, oil & gas, government & infrastructure and power & utilities securing contracts in excess of US$100m. Vicon Services exited to EnerMech for A$30m and and continued to exhibit double digit growth in both revenue and personnel during integration and handover. Jason's original background was in finance with Deutsche Bank having graduated with a Bachelor of Commerce. He completed his MBA at the Australian Graduate School of Management and is a Graduate member of the Australian Institute of Company Directors. He was selected for Reid Hoffman (Founder of LinkedIn) CS183C course at Stanford in 2015. Jason is committed to helping the startup community, having invested in and advised Qwilr, How Am I Going and Realla. Leon Wurfel is the founder and CEO of BUENO. 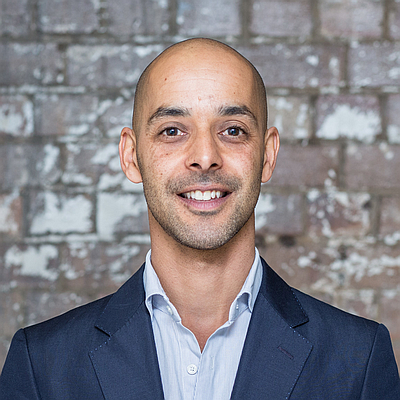 Leon founded BUENO 5 years ago becoming the first mover in Australia in the operational property analytics space. Over the 5 years the team at BUENO has grown to 60 people, a global presence, and an install base of >1,300 buildings covering more than 15 million square metres. Leon is considered a thought leader in the smart buildings and operational big data spaces and regularly presents at conferences in Australia and abroad. 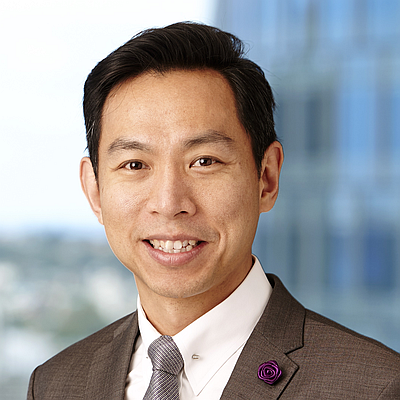 Nelson Yap started his journalism career with Australian Property Review in 2003, making a name for himself as a senior writer for the country's first real estate news site, and oversaw the site’s evolution into Australian Property Journal (APJ), Australia’s leading online property news publication. He is now Editor and Publisher of APJ, which has more than 22,000 daily readers and is a major player in the sector’s media landscape. Nelson will oversee the launch of APJ’s new sister publication next year, Asia Property Journal.